My wife and I are in the middle of watching season two of the television show House MD. A show she absolutely loves. Well, it's bothered me for awhile that Dr. James Wilson, the chief oncologist for Princeton Plainsboro hospital looked very young to me. "I bet he's a lot younger than they try to make him on the show." I tell my wife. "What do you mean, he looks like a middle aged man, probably forty or so." She says. "No way, I bet he's not even 30, he just looks so young to me." I respond. So I check imdb.com in sheer confidence that Dr. Wilson (played by Robert Sean Leonard), surely must be under 30. But alas, I check and he's 37, probably some where between my wife's guess of 40-something and mine of under 30. "I can't believe it." I exclaim. "No wonder I think he looks so young." It was at that moment that I realized Dr. James Wilson of House had been one of John Kea tings (Robin Williams) students in the late 80s in the film Dead Poet's Society. In fact, Robert Sean Leonard was the lead actor along side Williams and Ethan Hawke. It was as though, subconsciously when I saw 37 year old Dr. Wilson on the screen my brain saw 20 year old Neil Perry from Dead Poet's Society. Actors...you're used to them in one film and then they pop up in another and mess with your head. I had that same moment of realization with Dr. Wilson. I'm also a huge fan of "House." I think it's one of the few TV shows worth watching. Hugh Laurie was my original draw to the show, and the fine writing and acting has kept me coming back. I think Omar Epps is outstanding as Foreman. The only cast member I have anything against is the Dr. Cameron character and the actress who plays her. I just don't think she adds anything to the show. I've always wondered why his career in film didn't take off after Dead Poets Society. I remember after watching that film for the first time, I kept expecting him to show up in other great films. And it just didn't happen. Is this show any good? I realize that's a poorly worded question. That's like asking if you have bad taste. 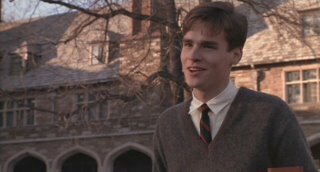 Robert Sean Leonard reminds me of the Bubble Boy Girl's betrothed guy actor Dave Sheridan, only in his physical features, R.S. Leonard is a gifted actor. My wife and I really dig house. Dr. Cameron is poorly written. So far all she's done is sleep around. To get to that point she has to be talented and they are not really showing that. Hopefully they will utilize her more. I love House as well. Hugh Laurie is such a jem. Wow, "House" is a great show, but I never put Dr. Wilson and the Dead Poets' Society together until you posted that picture. Oh man, I loved him in Swing Kids and Dead Poets Society and then he disappeared. I'm happy he has found his niche on TV. I rather like this guy. Ummmm yeah, about getting used to people in certain film roles and then they unexpectedly change it up, we just watched, "Akeelah And The Bee", and I kept having those feelings of deja vu. Then, I realized that Laurence Fishburne and Angela Bassett starred together in the Ike and Tina Turner movie. We saw a little bit of the Emmys last week and when Hugh Laurie was presenting, it was so odd to hear him speak with that British accent, it was almost like he was faking it!!! I *love* "Dead Poet's Society". It's on my top ten list! I don't watch "House MD" but wow, he still DOES look the same! I love House. I love Wilson and House's funny little friendship. I was really surprised to find out that Leonard was from Dead Poet's Society. I would be so curious to know why he hasn't been in more films??? Are you going to find out for us RC? HAAA! I never realized it. Dead Poets is one of my favorites. And I am an infrequent reader of this blog, uhh, you are married? How do you watch so many movies? Don't answer, none of my business. I think knowing that Neil (and Claudio from Kenneth Brannagh's Much Ado About Nothing) were sort of living on in Wilson, as he is a rather similar character ... actually honestly it is as if Neil Perry had listened to his father and become a doctor (I guess without giving up acting) ... haha ... anyway I think that might be why I watch House. 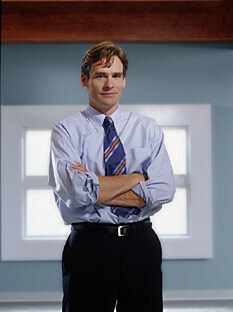 Hugh Laurie is amazing, but it's hard to be Robert Sean Leonard's sad face.